Posted on June 14, 2018 by Rebecca Beardsley and filed under Good Causes, Beauty and tagged Fundraiser Community. Have you ever wondered how short hair can get interesting too, instead of all the long hair you see in the magazines? In this article, we offer different techniques and looks for shorter hair. I think you will enjoy them, as once in awhile it is nice to wear a different look. Although, sometimes it's a challenge to know what are the best hairstyles for short hair. So here you go. Create a loose and carefree style using random sections pinned into a bun. 1. Spray dry hair with hair spray, like the Infinitum #3 or dry shampoo, such as Next Day Hair, even though it's technically not a dry shampoo, it acts as one. It gives the hair a great texture and hold for ay kind of hair styling. 2. Twist the random sections up and use bobby pins to secure them. Choose pins that match your hair color. Leave a little hair loose in the front around your face. 3. Curl the loose end with curling iron. 4. Arrange loose ends in a messy pattern. This hairstyle is perfect for those who have delicate hair.It will give you a smoothshape full of volume paired with a hair accessory. 1. Towel dry hair before you attempt this hairstyle. Add some of the Volume Envy Mousse with a comb. 2. Round brush your hair and blow dry to get volume. 3. 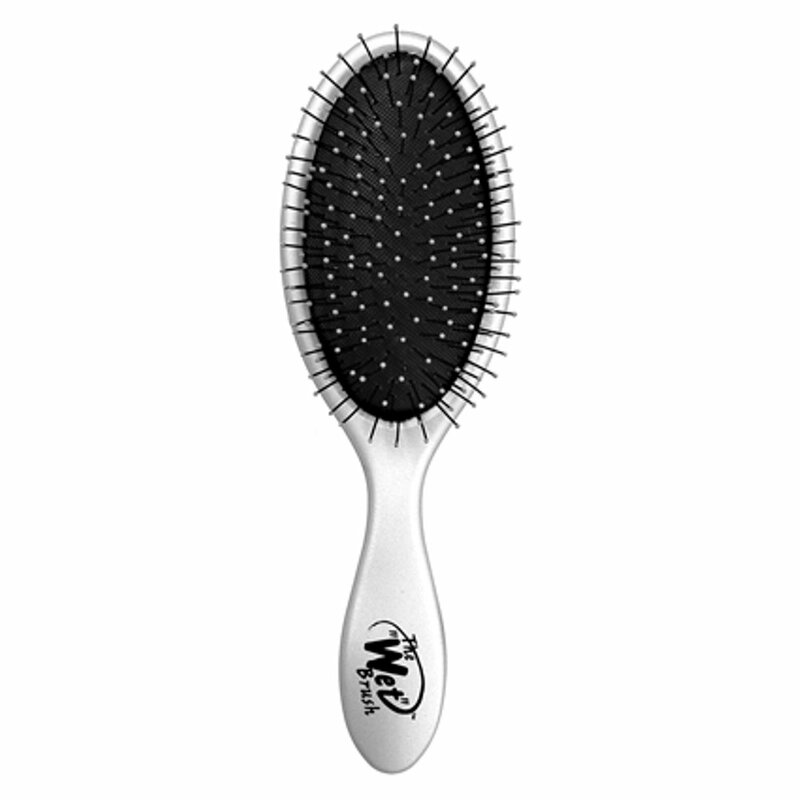 Use a teasing brush to tease the top and back of the crown of your head. 4. Now you will need to smooth the front portion and create a bump using the side of the teasing brush. Smooth the sides back and over your ears and use bobby pins. 5. Use the Infinitum #4 at the end, Extreme Lacquer for stronger hold. to give a finishing touch. In this hairstyle, curls are pulled back in a partial and the hairstyle is perfect for a day look or accessorized for the night! 1. First of all part your hair to one side. Preheat 1-inch curling iron and collect some bobby pins. Use dry shampoo or Next Day Hair to give your hair extra volume. 2. Use heat setting spray as you work through smoothing the lower sections with a flat iron. 3. Take 1/4 to 1/2-inch sections of hair at the top of your head, curling each and pinning back. Remember to leave the curl shape as is when you release it so it keeps its shape as it lays over the smoothed hair. 4. Spray with medium to high hold hairspray, my suggestion is the Extreme Lacquer. This awesome layered crop is styled up to look as if it’s long hair piled up into a trendy bun. 1. Towel dry hair to remove moisture completely from your hair. 2. Work a golf ball-sized amount of styling mousse, Volume Envy Extra, through hair with a comb. 3. Now use dry air and round brush to add volume and shape to the top section. 4. Smooth the sides and back. 5. Tease sections of the top slightly near your scalp to give structure to the style. 6. Roll medium to large-sized sections near the back of the crown of your head forward so they look as if they’re in the shape of a bun. 7. Secure sections with bobby pins. 8. Roll the front forward in sections to create volume around your hairline. 9. Finish with a firm hold hairspray, Infinitum #4. Thick curls full of body and movement and style with lots of volume make short hair appear longer than it really is! 1. Shampoo and condition hair with products designed for curly hair, like the Phyto Specific range. 2. Towel dry hair by wringing out excess moisture. Do not rub hair since rubbing will cause unnecessary frizz. 3. Work a medium to high-hold styling mousse, Volume Envy Extra through your hair with a comb. 4. Use a large, round, pronged diffuser to lift hair and dry on a medium heat setting. 5. Choose a light styling serum or hair oil to run through locks, gently working it from bottom to top to maintain the volume, but add shine to your curls. 6. Finish with a firm hold hairspray, Infinium #4 for all day control. Posted on August 11, 2016 by Rebecca Beardsley and filed under Beauty, beauty industry, hair, haircuts and tagged hairstyle tips for short hairs hairstyle tips short hairstyles hairstyle tips for short hair. Have you ever wondered how the hairstylists working backstage at fashion week make their fabulous styles last under the heat and clothing changes? Here are a few tips that will help you feel more masterful in your hairstyling efforts. Do you want your hair stay wavy for longer time? Spray your hair lightly with Infinium #3 about 12” from the head, spraying with the grain of the hair. Then start rolling from the mid section of your hair to the ends. It will help you get long lasting waves, and keep your ends healthy. You must use hairspray if you have sleek straight hair, and you are using pins. Spread out your hair pins on a towel and apply dry shampoo, such as the Volumetry SOS or Infinium #3 to them. This technique will help your hair pins hold in your sleek hair. If you hair cannot hold a curl, then try using aluminum foil. Spray the Infinium #3 Hairspray lightly as described above. Then wrap a section of hair with a long strip of foil, fold and coil the hair into a curl and tap, tap, tap with a flat iron. Let it cool in the coiled foil till you finish the whole head or where you desire curl. You will find your hair holding the curls better throughout the day. The hair gets really hot in the foil, so watch your fingers and don’t hold the heat too long. If any day you don’t get time to wash your hair in morning and you know your hair need a wash. You can apply dry shampoo such as the Volumetry SOS at night before going to bed. This technically is not a dry shampoo, but works wonderful. The shampoo will work itself into your strands overnight, resulting in healthy-looking hair in the morning with some texture and body. You can use hair exertions if you have mid length hair and looking to add some extra length, color or volume to your hair. The option is good if you are going to any special occasion and provides many style possibilities. Hair extensions are not ideal for long term but are an easy and convenient option to get longer, fuller, or highlights quick. Cleaning of your brushes is very important and help your brushes last. Much like your shoes needing a polish to make them last, so is true for brushes. In order for them to perform, you need to clean the hair out first, then use shampoo with another bristle brush or nail brush. Shake out the moisture, them rest them bristle down on a towel to dry. Take time from your busy schedule to get your brushes clean. Bobby pins are a great way to play. They come in so many colors now. Try a triangle shape to give your hair, or line five of them in a row to give your hair a modern look. This can be done in the fringe, nape or sides of your head. This is a simple trick that you can try any time easily and get many different and amazing looks. Let your imagination run wild. You don’t need to remain dependent on hot air always when you style your hair. If you want to set your hair style best, then set dryer to cool and alternate between warm and cold air. Remove extra moisture from your hair with the help of towel when you come out from a shower, make sure you don’t rub your hair and scalp, simply pat dry. If you’re curling straight hair, leave the last half inch of hair out of your curling iron to get a more natural-looking, modern look. This trick works well if you don’t have enough time to style your hair. Spray a little Crepe De Chignon in your hair. Put your hair in a ponytail anywhere that you want and divide in two three sections and twist into little buns, and pin or band. Set your ponytail free after sometime to get curly hair. Butterfly clip helps you get a fuller look instantly. Spray your hair lightly with Second Day Hair. You just need to place butterfly clip underneath your ponytail to get a fuller look. Spray your hair lightly with any of the sprays mentioned above and with your head upside down, pull all your hair to the crown of your head, and twist, then swing your head up, and band. Separate the hair is bun to get a little messiness to the bun. Flat iron your braids to get curls. If you don’t have time to intricately curl straight hair, lightly spray your hair with any of the sprays mentioned above, and separate your hair into six or so braids and then heat the braids with a flat iron. Undo the braids, and you’ll now have curly hair. The best way to use hairspray is to rub on your hands and then use on your hair for better results. Do you know the purpose of each type of brush you use? Each brush has different purpose. So you must know which brush to use at what time.Large brushes are commonly used for straightening, small for curling purpose and paddle brushes are used for making your hair smooth. Posted on June 27, 2016 by Rebecca Beardsley and filed under Beauty, fashion, hair, hair salon, haircolor, haircuts, hairstyles, Hairstyling, hairstylist and tagged girls hairstyle tips hairstyle tips for girls. Touching Up a Sleek Style? Posted on September 15, 2014 by Rebecca Beardsley and filed under Beauty, Favorite hair products, hair, hairstyles, Uncategorized and tagged twitter. ShineForth Salon is now OPEN! The idea for a new home brewed in my heart for about a year, as I struggled with the joy, and gratitude for being busy, and yet feeling I was unable to deliver my full attention to my clients. I felt distracted by the "salon" environment, which has become norm out in the world. I wanted to create beauty, in a place of beauty, without the usual hub bub of a salon. The idea of moving had to happen, my soul needed it. A colleague showed me pictures of his new, beautiful, studio in Southern California, and said he never looked back going out on his own, and working by himself. And that meeting is what cinched it for me. I knew enough that it would have to be a case of right place, right timing, and then leaping! So I kept my eyes open, and then I saw it. Piedmont Avenue in Oakland, CA is where I worked 15 years ago. The street has changed in a good way, more going on, more youth, and yet classic restaurants like Bay Wolfe still thrive on the street. I am happy to be in my new home, as we continue working on the last details. Thank you to all my clients who have made this move with me, who continue to support my dreams, who give so much! I want to give to you even more than what you expect, because I can. And a special thanks to the clients who purchased services ahead of time to make the move possible. Thank you to one of my best friends, Mary Anne McKearnie of MA Designs, who designed the space, and gave her time as a gift! I love my new home. We will have a Grand Opening in the Fall, so stay tuned. Posted on July 28, 2014 by Rebecca Beardsley and filed under Beauty, beauty industry, Dreams, hair salon, inspiration, Loyalty, Salon Life and tagged ShineForth Salon. Nikol Elaine and I met up with a bunch up hip, fun, entrepreneurs who are who are in the wedding industry. I had a great time meeting these women and would refer any of them if you are planning your wedding. Posted on March 28, 2013 by Rebecca Beardsley and filed under Beauty, Weddings and tagged wedding planners. Just uploaded my online Wedding Portfolio film. Check it out, leave a comment, and share with your brides to be. My passion is styling and finishing hair, and weddings are so delightful. Posted on February 28, 2013 by Rebecca Beardsley and filed under Beauty, Dreams, hairstyles, inspiration, Love, Wedding Hairstyles and tagged wedding hairstyles film. Wedding Series with Photographer Kristina Varaksina, beautiful designs by Joseph Domingo, Makeup Artist Chloe Rainwater, Model Lindy Castro, and flowers by 7 Victoria Street. Posted on January 8, 2013 by Rebecca Beardsley and filed under Beauty, fashion, Photo shoots, Wedding Hairstyles and tagged wedding services. Ma Jolie Salon in San Ramon hosted L'Oreal Professionnel, and invited other salons to participate in this Hands-On workshop led by Sean Metcalf-haircolorist at Grasshopper Salon in Sf, and yours truly got to style these waves. Posted on November 20, 2012 by Rebecca Beardsley and filed under Beauty, haircolor, hairstyles, Salon Education and tagged sean metcalf. Candace has lots of hair! 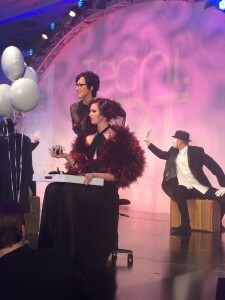 I used L'Oreal Professionnel's Mousse Volupt́é to create a texture of hair that would hold. Then I sprayed Infinium #2 on each section and used a curling rod and pinned in place. I wanted to create a hairstyle that was elegant, and that night or next day, could be taken down and have lots of body in the hair. Posted on July 19, 2012 by Rebecca Beardsley and filed under Beauty, hairstyles, Wedding Hairstyles and tagged Wedding Hairstyles. Working with photographer Kristina Varaksina really opened my eyes to what it is like to meet your creative match, and to see how hair can be a focus in fine art photography! Posted on July 10, 2012 by Rebecca Beardsley and filed under Beauty, Creativity, Fine Art, hairstyles and tagged surreal hairstyles. SNOW 3 Another white fashion event! January 28th 2012- We were cooking backstage with 36 models, irons, back brushing, pins, and plenty of L'Oreal Professionnel Densite, Mousse Volupte, and Infinium #3! Thanks to Scott Smith, Heather Jassem, Aviva Morger for their assistance, and expertise. 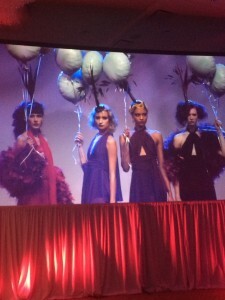 Thank you to Cari Borja, and Julie Schindler for their lovely designs. And a great big thank you to Joseph Domingo, and all the others who made this event go smoothly. Posted on February 16, 2012 by Rebecca Beardsley and filed under Beauty, hairstyles, runway, San Francisco Bay Area Fashion Events and tagged Staniel Ferreira. Posted on January 31, 2012 by Rebecca Beardsley and filed under Beauty, fashion, Hair/Fashion Films, Hairstyling and tagged Zoe Hong. Posted on December 12, 2011 by Rebecca Beardsley and filed under Beauty, runway and tagged Sara Dashty Makeup. Tear sheets were laid out for me. Each of the three models, which included Cari, needed to look different from the other. I set up at 9:00 am, and started on the task of styling hair and applying make-up on our first model, finishing at 1:00 pm. Cari's Designs are feminine, fanciful, and flirtatious, so we played with the idea of keeping the hair simple, and casual, and approachable. Cari's ease, charm and adept storytelling skill made me realize she has crafted her life into one that is creative, and full, and that she is doing none other than what she is meant to do. How fantastic to be a part of the endeavor. Posted on July 28, 2009 by Rebecca Beardsley and filed under Beauty, fashion, Femininity, Hairstyling and tagged Hair Design.